Let's See...Nanny in Connecticut or Daycare Center? Deciding Between a Nanny in Connecticut or a Daycare Center? Consider the Differences! 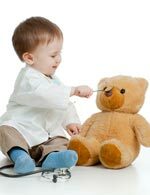 Nanny: Your Connecticut Nanny will make sure that your child is receiving premium one-on-one care each and every day! 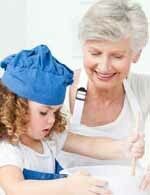 An ABC Nanny can focus on the activities that are most interesting to your child. You will be able to always know about what appeals to your children and their reactions to new activities. This guarantees that your child is receiving the best possible care at all times while having fun, resulting in a happy, healthy child! Daycare: Teachers in a daycare attempt to make sure each child is receiving the same amount of personal attention every day, which can be a struggle. With classes that have a high student to teacher ratio, this leaves a very small amount of time for each child individually. Each child will usually not receive the personalized attention they deserve! Nanny: When your little one is feeling under the weather, the best remedy is always best received with love! ABC Nannies will make sure your children receive the warmth and attentiveness they deserve! You will be able to advise your ABC Nanny on your child's symptoms, and of course the way you would prefer they are handled or how they best react to different things. Your ABC Nanny will be able to continually update you throughout the day, so you can be assured that your child is being properly cared for at home! Daycare: As an unfortunate side effect in a daycare setting, germs can spread very quickly through the many different students, causing many children to become sick all at once. Often in these settings, children contract illnesses consistently, which is just awful for them and you! Since daycare centers do not have resources to properly care for sick children, they will most likely call you at work and ask you to pick up your child as soon as possible. This could potentially force you to miss work to care for your child, inevitably causing additional stress. Nanny: Your Connecticut Nanny will care for your children in the environment they are most comfortable in - your house! You can rely on the fact that your Nanny will always be punctual and willing to work around your schedule. Another benefit of employing an ABC Nanny is that you will not have to worry about packing diapers, bottles, food, toys, or any other necessities for your child to have. Everything your ABC Nanny needs will be within reach right in your home! Daycare: Daycare centers have limited hours of operation, minimizing the flexibility to work with your schedule. You are required to provide most of the items your child will need throughout the day, adding to the stress of trying to get everyone ready for the day. Nanny: You get to have as much input as you would like! You have the flexibility to determine which indoor endeavors your child will be involved in throughout the course of the day. You can request your ABC Nanny to work with helping your children learn their ABC's, practice manners, or even have the Nanny initiate potty training! Of course, you know your child best, so you are always able to dictate what your child will learn and experience each day! Watching your child grow and succeed right at home will be very rewarding, indeed. Daycare: Teachers end up having so many children in their classrooms each day and it can be very difficult for them to tell you exactly what your child's daily achievements were. The care is far less personal, not leaving you any room to make additional or special requests. You may occasionally receive a letter describing the activities your child may have participated in, but rarely will you receive consistent feedback as to your child's progress. This can often leave you feeling frustrated and concerned about whether or not your child is being taught in the manner you prefer. Nanny: It is a well-known fact that most children love being outside! Your Connecticut Nanny will be more than willing to take your child outside to enjoy the fresh air and sunshine, and let them be active. Whether your children enjoy playing games outside or going on walks in the park, your ABC Nanny will turn each experience into a fun and educational one. Every day can be filled with learning about nature and being active while nurturing their love for the outdoors! Daycare: It is hard to imagine trying to watch twenty children running around in the recess yard, all at the same time. For this reason, and for the safety of the children, most daycare centers are forced to limit the amount of time the children are allowed to play outdoors. Even if the weather is beautiful and your child would prefer to be outside, unfortunately this is just not an option in most cases. 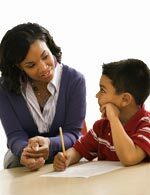 Nanny: Our Connecticut Nannies are quite capable to assist your child with homework assignments. Many of our Nannies in Connecticut come from an educational background, allowing them to help tutor your child, no matter what age! It is easy for your Nanny to individualize the assistance your child needs, and be sure that they are successful academically. You can be confident that once you arrive home, you will be able to concentrate on spending quality time with your child, rather than having to worry about helping them to complete school assignments. 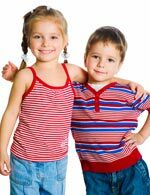 Daycare: While daycare centers or afterschool programs can provide a great environment for your child to interact socially, they often cannot provide one that enables a child to receive assistance with homework or other assignments. They make an effort to expose all of the children to educational games, but do not have the ability to give each child the one-on-one attention they may need to succeed academically. This results in the child needing to complete homework after hours of running around and playing. It’s understandable that after this much socialization, the child will most likely be exhausted and not able to concentrate, resulting in poor performance. Nanny: Having an ABC Connecticut Nanny in your home helps to strengthen the bond between your children! They are able to learn and play together, all while creating an unbreakable sibling bond. Your Nanny can focus on cultivating their relationship with one another, forming strong connections that will last a lifetime. Daycare: Unfortunately, because of the number of children in a daycare center, it is likely that your children will be separated into different classrooms. This helps the teacher at the daycare center, but obviously does not allow for your children to learn and grow together. Nanny: As a working parent, it is understandable how difficult it can be to be away from your child all day and not know what activities he or she is participating in. You can sometimes wonder if they are enjoying the sunshine or learning new and exciting things. With an ABC Nanny, you are just a phone call away from the answers! 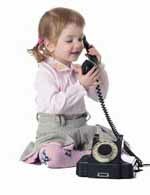 Imagine being able to call your child in the middle of the day, and hearing that little voice! They will be able to explain how much fun they are having, leaving you with a wonderful sense of peace! Daycare: Daycares strive to provide a structured environment for all of the students. When parents are constantly calling for updates, or to speak with their children, they disrupt the order of the classroom, leaving the children feeling uncomfortable. Most of the time when a parent calls, they are only allowed to speak with a teacher or teacher's aide to receive a brief update. This can leave you feeling very uneasy and unsure about your child's progress and level of comfort. Nanny: Your Connecticut Nanny will ensure that your vacation is as relaxing and rejuvenating as you hoped it would be. Your Nanny will make sure that you are able to have a worry-free experience. If you’d like to spend some quality time with your spouse, you needn’t be concerned! You can know without a doubt that your children will be in good hands, allowing you to have the soothing vacation you so greatly deserve. Daycare: Most daycare centers require you to continue payment while you and your children are away on vacation, in order to secure a spot when you return. Add to this the fact that you are responsible for providing additional childcare on vacation, and your trip is sure to be anything but stress-free.